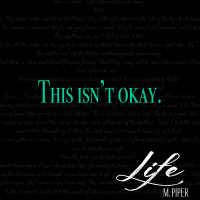 “If you want to see the sweeter side of Piper, this is it.”- Brandi Z. 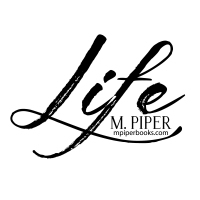 “Piper brought her total game with this book. So many times I screamed at her, I bargained with her and cried because of her. 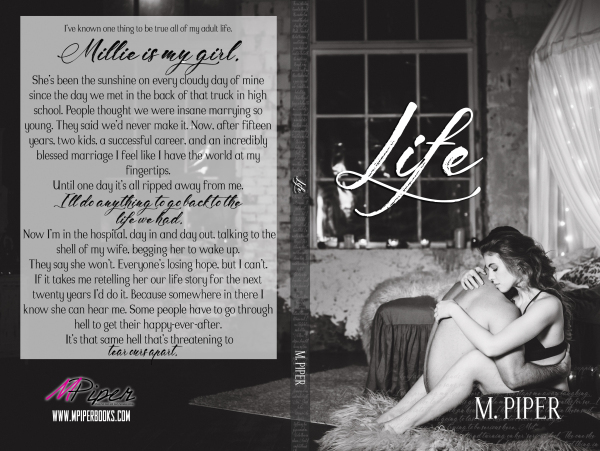 This story made me stop and give appreciation for everything in my life!”- Melinda P.
I've known one thing to be true all of my adult life. She’s been the sunshine on every cloudy day of mine since the day we met in the back of that truck in high school. People thought we were insane marrying so young. They said we’d never make it. Now, after fifteen years, two kids, a successful career, and an incredibly blessed marriage I feel like I have the world at my fingertips. Until one day it’s all ripped away from me. I'll do anything to go back to the life we had. Now I’m in the hospital, day in and day out, talking to the shell of my wife, begging her to wake up. They say she won’t. Everyone’s losing hope, but I can’t. If it takes me retelling her our life story for the next twenty years I’d do it. Because somewhere in there I know she can hear me. Some people have to go through hell to get their happy-ever-after.